Big trouble in Canary Wharf? Generally names follow certain protocols thus if a particular cross-city metro is to become the Elizabeth Line, then protocol is that the name should be everywhere – except, it seems, Canary Wharf. Ironically the new line originally was to head straight across London from Paddington to Stratford. Canary Wharf bosses pleaded for a station on the new line. They wanted Crossrail! Big trouble in Canary Wharf? Or a flying circus of some sort…. That, after all, is how this fabled metro line gained a south eastward link to Abbey Wood. Its never plain sailing tho! A new line via the Isle of Dogs was now on the cards but its additional cost caused the UK Treasury to poop its pants. In desperation it pleaded for construction of the Abbey Wood section to be deferred til at least 2020. The Wharf stepped in with offers of money towards construction of its new station. The Government relented and in October 2007 the PM gave Crossrail the go ahead, including Canary Wharf/Abbey Wood. And now for something completely different: The Crossrail song! Crossrail! We’re always happy when its Crossrail. We’re always happy we can get to the shops until we drop. In search of bargains we will never stop. When God created Crossrail, he pulled out all the stops. First, he created all manner of stations. Then he created trains. Crossrail! We’re always happy when its Crossrail. We’re always happy we can get to the shops until we drop! In search of bargains we will never stop, stop, stop! We’ll shop and shop and shop, shop, shop! As long as Crossrail runs, There are bargains for you and me. Crossrail can set you free! 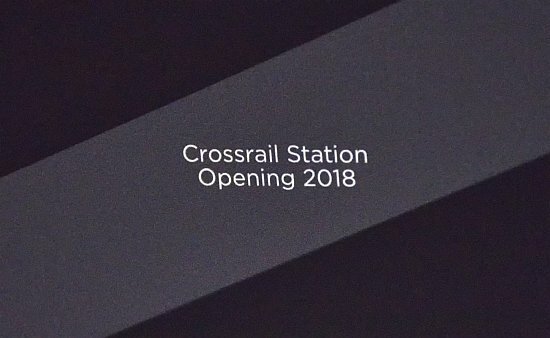 Canary Wharf’s Crossrail Station would be the biggest new intermediate station without direct interchanges whilst the above site development would be known as Crossrail Place. Crossrail…. or Elizabeth Place – a brand new world? 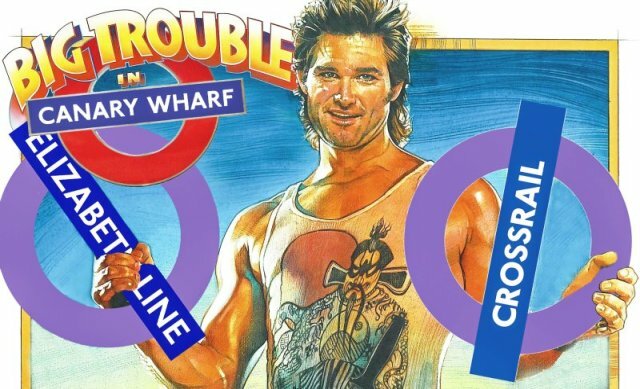 Everything that’s called ‘Crossrail’ is to be ‘Elizabeth’ from 2018, so Crossrail Place becomes…..? The lifts/escalators from the cinema and shops in Crossrail Place will eventually reach the station. 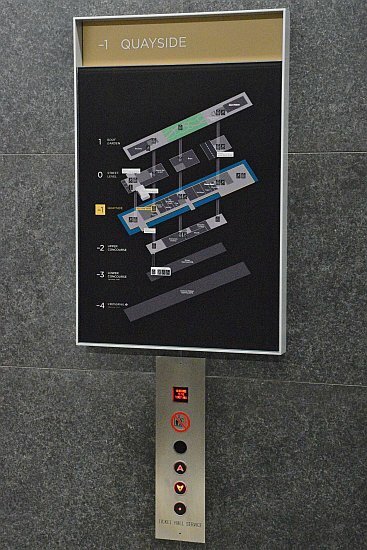 The lifts’ information panels describe the station as Crossrail. That other name is nowhere to be seen. Crossrail Station Opening 2018. Definitely not Lizzie! 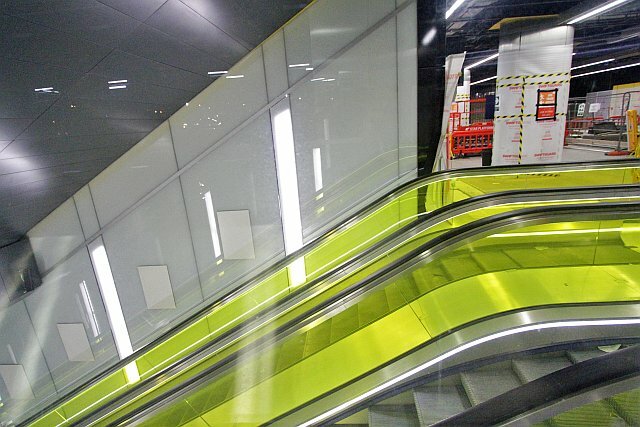 The direct escalator links from street level to the new station are yellow. Did you know its almost eighty years since the Circle Line’s first (and only) escalators were installed at Sloane Square? Gotta love the Circle Line’s new escalators. Thank goodness its not the Elizabeth Line then! Every bank has a presence at Canary Wharf. Smaller branches, rows of ATMs throughout the area, not forgetting Nat West’s own Crossrail branch! Come December 2018, will it need a name change? Nat West welcomes customers to its Crossrail Branch! 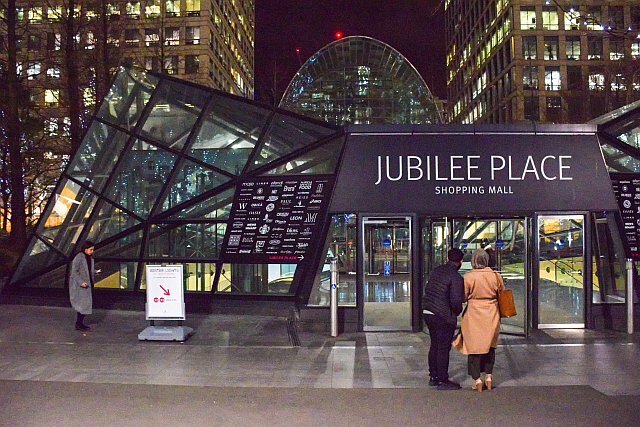 Jubilee Place reflects the adjacent Jubilee Line. A case of simple logic? Elizabeth Line station equates Elizabeth Place. And now for something completely different: Its the Elizabeth Line Special! Hello, good evening and welcome to the Elizabeth Line Special. There’s tremendous excitement here at the moment and we should be seeing the first train arrive any moment soon. We’re not sure where it is now, it might be Whitechapel or Farringdon, the trains are pretty mixed up and all the carriages are overloaded. Ah, I’m just getting… I’m just getting… a buzzing noise in my left ear. Urgh, argh! (removes insect and stamps on it). And now let’s go straight over to Whitechapel…. How did the Queen get a foot in the door of Crossrail? ‘The 1974 London Rail Study and its outcomes – Proposals for future development’ was a report from a steering group overseen by Sir David Barran, chairman of both Shell and Midland Bank. It envisaged the new Crossrail Line burrowing underneath Buckingham Palace. The joke was made that the Queen should have her own station. She didn’t but in the end had a whole line named after her! ‘Sod it. Who’s queen at the moment? We’ll name it after her.’ The Guardian quips on why a new railway should be named after someone who’d never use it. It was Boris who conceived the absurd notion. Did Queen Lizzy contribute something towards the building of the line? No, nothing, absolutely zilch! It might amaze people that attempts were made to get the Central Line renamed The Elizabeth Line. The purveyors of that failed idea back in 2013 no doubt gave commander-in-chief Boris the idea Crossrail could have this honour instead…. The pair of TBM’s used on the Limmo to Farringdon section of Crossrail were named Victoria and Elizabeth. Surely enough honour for the Queen? Shame on the fool that gave her the damn lot! 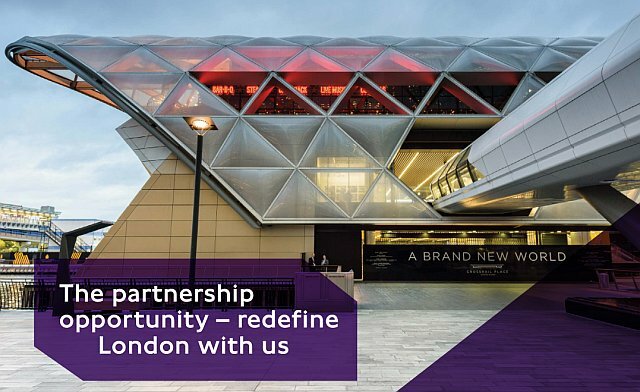 TfL’s Redefining London intends to promote the line as a means to ‘redefine London.’ These six dedicated partnerships will promote it solely as the Elizabeth Line for one whole year. Notice how TfL’s insisted upon purple banding for this very location. Does that mean a renaming for Crossrail Place is on the cards? The Elizabeth Line Roof Gardens. Lovely place named after the Queen’s very own railway line! 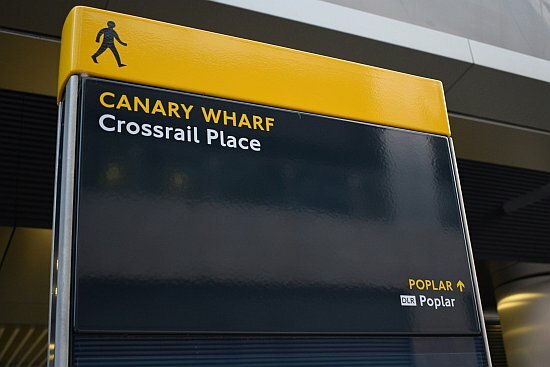 The new connecting elevated passageway (Adams Plaza bridge) was built specially as a direct link from One Canada Square and it specifically says Crossrail Place at all its entrances. ‘Crossrail Place for the Elizabeth Line!’ An excellent bit of tautology! The Lizzie Line isnt meant to be launched until Dec 2018 yet in 2017 Canary Wharf put up signs saying ‘Elizabeth Line.’ At other locations eg Custom House, there’s been a mad scramble to cover these up! At least the new signs demonstrate the muddled concept behind Crossrail’s renaming. And now for something completely different: Always look on the Crossrail side of life……. Anyway, John, you can catch the 11.30 from Canary Wharf and be in Reading by one o’clock, oh, and there’s Bond Street on the way… (sees Elizabeth roundel) Oh! Daddy! My hat! Crossrail! (not daring to look) Has it been… Yes – after yesterday. But that doesn’t matter now… Crossrail’s gone. Looks like I shan’t be catching the 11.30 now. Oh no, John, you mustn’t miss your train. How could I think of catching a train when its now called the Elizabeth Line? Oh, John, thank you… anyway you could always catch the Jubilee Line – You’ll no doubt want to go via Baker Street and Paddington…. Big interview with London City Airport’s CEO on Crossrail (12/02/18)The other name’s NEVER mentioned! Wiki’s page on Canary Wharf Crossrail gives scant mention of the Elizabeth Line. Everything is called Crossrail. The ‘E’ is mentioned just once right at the very bottom. Yet if one hovers over that link the relevant document is still referred to as Crossrail! Hover the cursor over ‘Elizabeth Line’ and one gets a Crossrail dialog! So many women are going to be annoyed at these attempts to call them by different names…. Elizabeth seems to suffer other problems too as this Twitter convo shows….